It can easily be called a mini iphone 6s with all the same features and specifications. 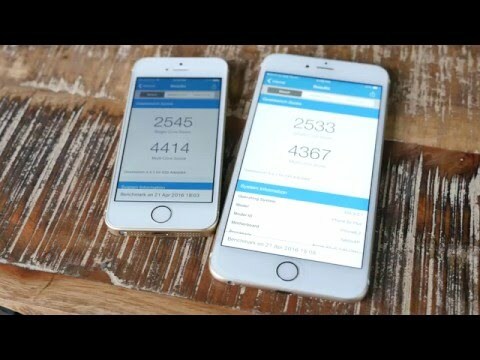 most powerful 4‑inch phone ever.The A9 is the same advanced chip used in iPhone 6s. The 12‑megapixel camera captures incredible photos and 4K videos. And Live Photos bring your images to life. This is a phone for the people who wish to have a compact phone with huge features. Internal storage is less and priced a little higher for the phone size but that is overcome with features. IPhone 5se is a compact iPhone and affordable phone for those who wish to enter the Apple market but do not posses big bucks. The processor used to be good but since higher versions of the phone have been released its getting slower and slower. Compact & easily suited in the hand. Though, It has a good processor, The device hangs a lot of time. 7 Pricebaba users have written their experience with Apple iPhone 5se. If you own Apple iPhone 5se, please do leave your feedback too. Apple in its March 2016 event announced the iPhone SE that would give comfort to millions of users who still want a compact sized smartphone. In fact, Apple revealed that it sold over 30 million iPhone’s with a 4” screen size in the previous year. They also highlighted that first time smartphone users, people switching over from Android and folks looking at a not very expensive iPhone would love the SE. iPhone SE was also previously rumoured to be called the iPhone 5SE, given that it resembles the iPhone 5s design. The iPhone SE comes in 16GB and 64GB variants. It packs in more power than everyone expected with some features that don’t even come on the iPhone 6 yet. This includes live photos, 4K video recording and front facing flash (called Retina Flash). The SE is powered by the Apple A9 processor and the RAM while unconfirmed yet is debated to be 2GB just like the iPhone 6s. The SE also has NFC for enabling Apple Pay. Apple iPhone SE would be available in India sometime in April and this should be a worthy upgrade for anyone using the iPhone 5 or 5S. Of course, budget remains a key deciding factor still. 1. Will the iPhone SE work with Reliance Jio network? Ans: Yes, this phone supports VoLTE and should work well with Reliance Jio network. Ans: No, the phone is capable of handling any task thrown at it and has not shown any signs of heating. It does get slightly warm when performing heavy tasks which is normal. 3. Is this phone good for gaming? Ans: Yes, iPhone SE can perform all the games from major publishers without any issues. Ans: Yes, like the usual update cycle of iOS from Apple, the iPhone SE should receive software updates for 4 years since it's launch. 5. How is the camera performance for this phone? Ans: iPhone SE packs the same rear camera from the iPhone 6s and the performance is excellent. 6. Does the phone support 4K video recording? Ans: Yes, this device does support 4K video recording. 7. How long would the battery last? Will I need a power bank? Ans: Battery of the iPhone SE is said to easily last through the day. However, in case of prolonged usage through out the day, you may want to consider carrying a power bank along. 8. Does it support USB OTG? Ans: Yes, you may attach third party storage expansion options via the lighting port. 9. Is the battery removable? Ans: Like all iPhones, the battery of the iPhone SE is non user removable too. 10. What comes in the box? Ans: Inside the box you get a iPhone SE, a wall charger, a lighting cable for charging and data syncing and a pair of Apple Earpods.